Searching for a trip that's truly off the beaten path? 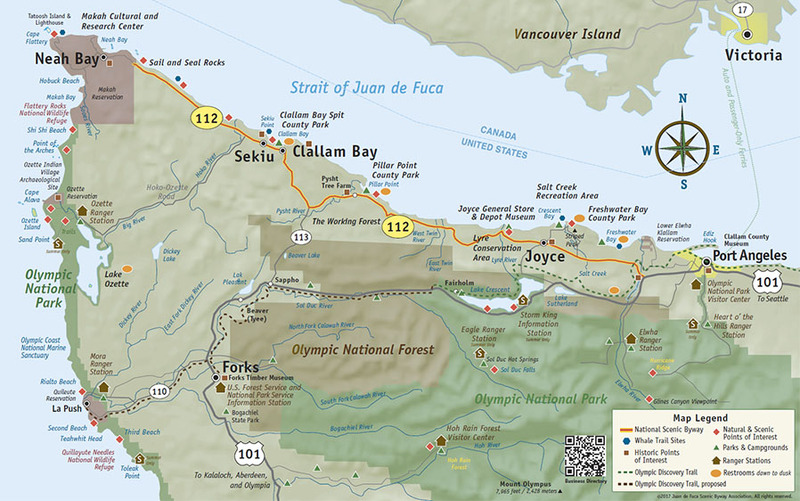 The Strait of Juan de Fuca Highway, State Route 112, takes you to some of the most impressive vistas found on the planet. It's the gateway to the outermost rim of the Pacific Northwest. WATCH OUR VIDEO TOUR OF THE BYWAY!